Sitting outside of the new Voyager 47 Club Lounge, guests at the Outrigger Reef Waikiki Beach can watch surfers and paddleboarders catching waves. 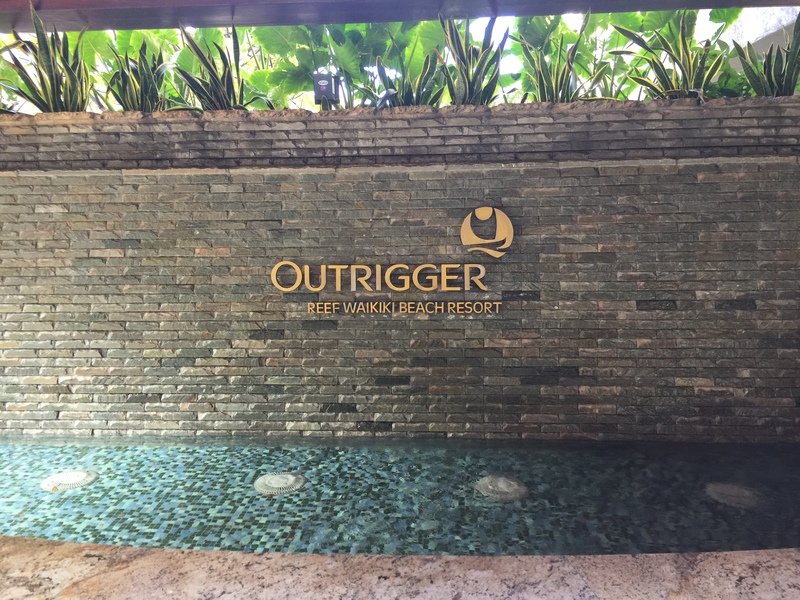 The Outrigger Reef Waikiki Beach Resort debuts a new exclusive Voyager 47 Club concierge experience for guests staying in the oceanfront and ocean view guest rooms. This special lounge offers morning espresso and premium coffee, charcuterie, pastries, and a variety of island baked breads that include cranberry walnut, Hawaiian sweet bread, purple taro bread, and guava bread. Guests enjoy topping them with pineapple, strawberry guava and mango curds. At the lounge guests return after a day at the beach to watch the sunset while sipping local craft beers and nibbling on artisan appetizers and Hawaiian pupus. The Signature Experience begins the minute you walk into the open air lobby for a warm arrival greeting with a reception staff member delivering a tray of rolled cold towels and glasses of local juice given to each guest upon check-in. Benefits of Voyager 47 Club include Oceanfront and view suites ranging from one to four bedrooms. Other Signature Experience perks include complimentary in-room and throughout the resort WiFi, two new bottles of water delivered each day and a local weekday newspaper. Outrigger beach tote bag are given to guests to store a bottle of sunscreen, towels, a book or magazine and bottles of water for a day at the beach or out exploring the island. Guests may take this natural fiber bag home as a souvenir. 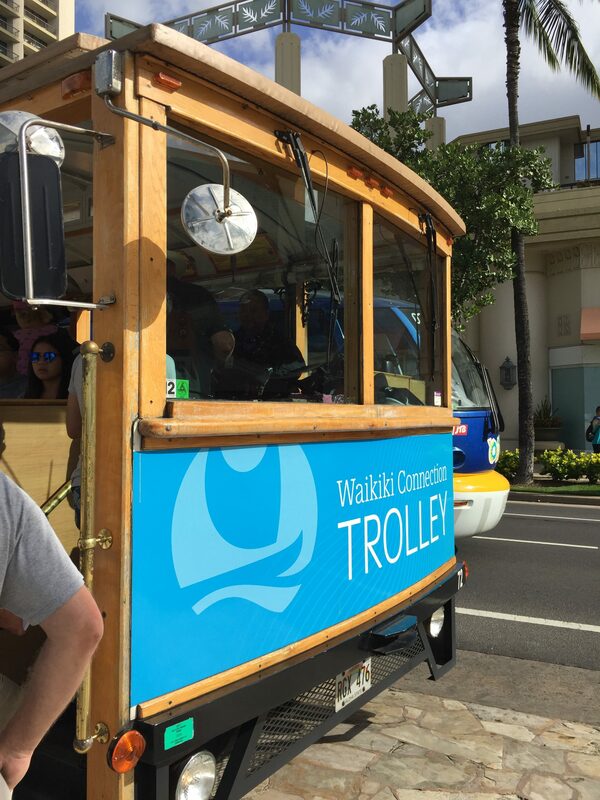 With the show of an Outrigger room card, guests are entitled to unlimited rides on the Waikiki Connection Trolley. The trolley makes a continuous round-trip loop with 14 stops (one is close to the entrance of the Outrigger hotel) from downtown Honolulu to the Diamond Head crater. It’s an informational ride where guests learn about the history of the island along the tour. Guests also receive free museum admission tickets to the Honolulu Museum of Art (a trolley stop), Bishop Museum, Iolani Palace and Waikiki Aquarium. The Bishop Museum is the Hawaii State Museum of Natural and Cultural History located in the historic Kalihi district of Honolulu. The Waikiki Aquarium is one of the oldest public aquariums in the United States featuring a variety of Hawaiian Marine communities, and a Hawaiian monk seal habitat. With three onsite restaurants at the Outrigger Reef resort, there is a fine dining torch lit Ocean House Restaurant overlooking the beach. The Kani Ka Pila Grille is near the hotel pool area with one of the largest deck’s in Waikiki. Shore Bird Restaurant & Beach Bar offers a grill your own hand-carved steaks and fresh mahimahi. They also have a bountiful salad bar. Within walking distance is the Outrigger Waikiki Beach Resort with more dining options that includes Duke’s, known for it’s bountiful breakfast buffet and large produce bar offering hot and cold items. In the evening, there is live music below Duke’s, on the outdoor patio near the large heated whirlpool. On Sunday’s the Outrigger Waikiki Beach Resort presents Grammy nominated and award winning Hawaiian musician Henry Kapono. His show becomes a lively beach party with an outdoor bar and food service available. 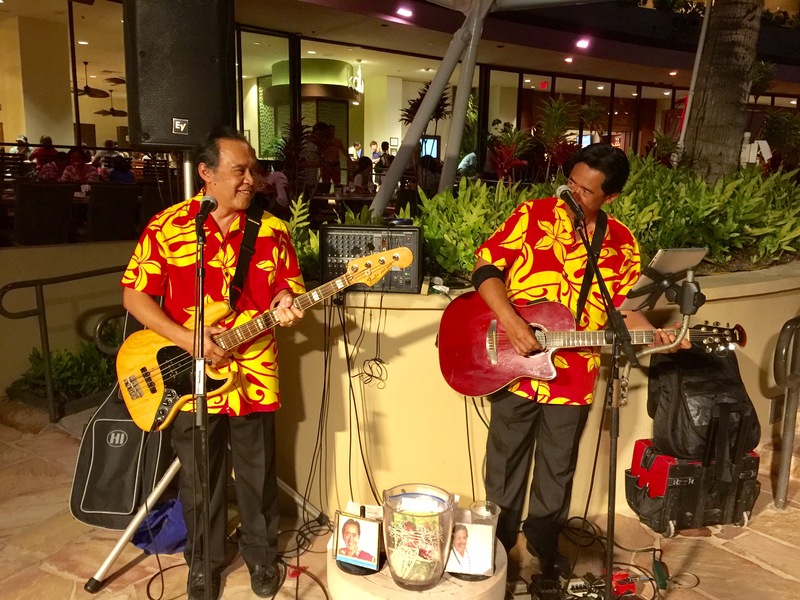 Also in the evenings are two live music or comedy shows at Blue Note inside the Outrigger Waikiki Beach Resort. It’s one of the best nightclubs in Hawaii with top notch performers such as Kenny G, Blood Sweat and Tears, and Roseanne Barr. 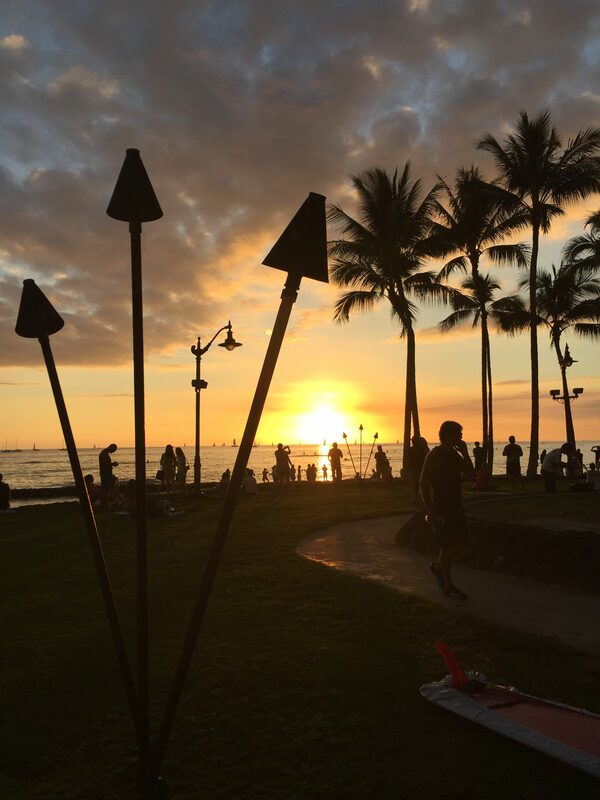 Both Outrigger Resorts offer live music, free Hawaiian culture activities, and discounts on outrigger rides. The Outrigger Resorts are the only properties in Waikiki that offer complimentary Hawaiian vow renewal ceremonies. Starting at 7:45 a.m. the Outrigger Reef Waikiki Beach Resort invites couples to renew their vows with a traditional Hawaiian ceremony on Tuesdays and Fridays. At the Outrigger Waikiki Beach Resort the vow renewal ceremony is on Monday and Thursday mornings. Those staying at the Outrigger Reef can enjoy a celebratory reception up at the Voyager 47 Club for breakfast afterwards. 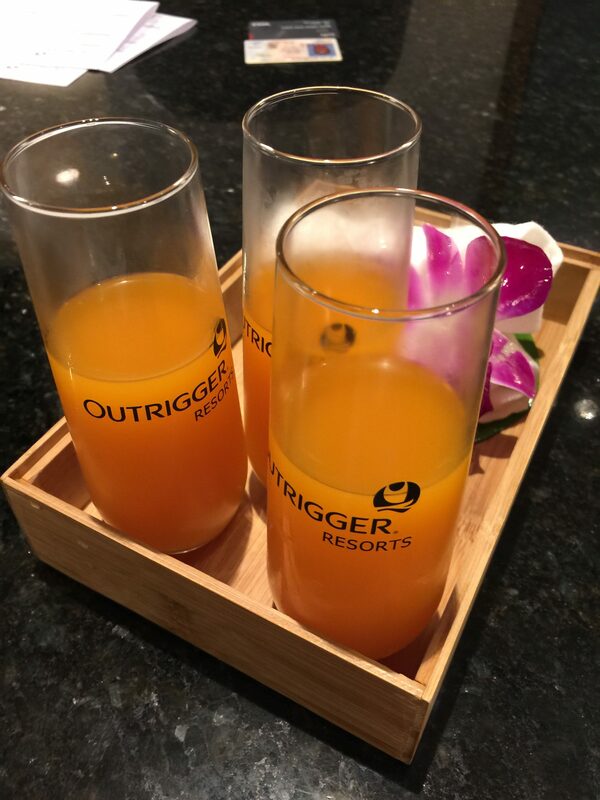 The new Outrigger Signature Experience with complimentary activities, interactive Hawaiian customs and exclusive off-site excursions allows guests to interact with the local community and gain an increased appreciation for the beauty of Hawaii.